Black Cardamom offered by us is widely used in Ayurvedic medicines and for culinary uses. Our company is an eminent Supplier and Exporter of Black Cardamom from Thailand. 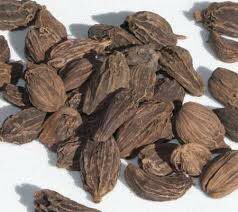 The Black Cardamom we make available is source from trusted vendors only. To cater bulk and urgent requirements of buyers, we maintain a large stock of Black Cardamom at our well-equipped warehouses under optimum conditions.